When your face photo is imported into the app, the app detects the position and shape of your face and automatically renders a 3D model. 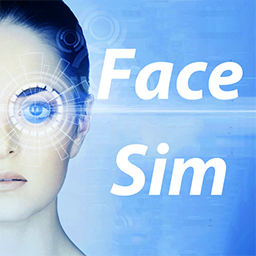 Your face photo will blink and change its facial expression in very lifelike, so you can experience a truly realistic simulation! You can play cosmetic surgery simulation, makeup simulation and the like with a realistically moving photo. Let's make laugh, angry and kissy faces at a realistically moving photo, and allow it to show us lots of feelings and expressions! Simulated pictures can be saved in portrait onto your device or shared by SNS!